Voting was a public occasion for both Māori and Pākehā. In rural areas, where most Māori lived, election day was a chance to get together, and voters travelled from around each district to polling booths. 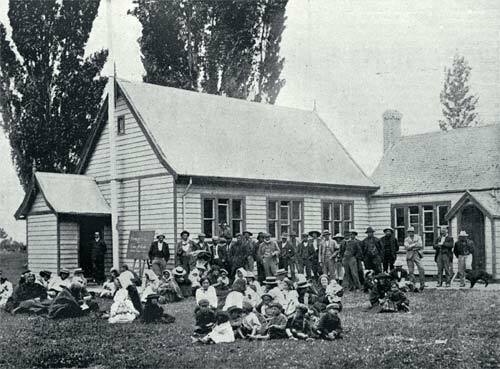 A group is shown here gathered outside the Kaiapoi polling booth in 1902, waiting to hear the results for the Southern Māori electorate.